The Windows 10 version 1703 cumulative update brings a bevy of fixes and improvements that make the OS more stable and reliable. At the same time, update KB4025342 also brings issues of its own. Many Creators Update users can’t install KB4025342. Oftentimes, the install process fails on restart or get stuck in an install loop. Installed update KB4025342 automatically through Windows Update on July 12. Noticed extremely long boot up times of the order of 10 mins for a laptop that normally gets to desktop in under 1 min. Repeatedly happened over several shut downs and boot ups. So I uninstalled the update and PC is back to normal. Windows 10 users also report that Edge randomly flickers and then closes. It seems this issue only affects Microsoft Edge as other browsers work fine. After updating to KB4025342 my network no longer shows the correct attached devives under windows explorer network. The masterbrowser shows the network devices but subsidiary computers on the network show nothing. It appears the only way to fix this problem is to uninstall the update. 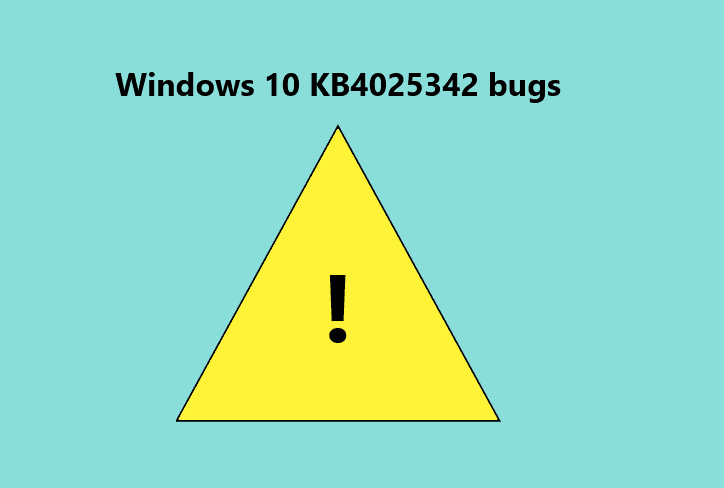 These are the most frequent bugs reported by users after installing KB4025342. Have you encountered other issues after installing this update? Let us know in the comments below!